Luxurious Style & Superior Service. Cancun Limo: the perfect mode of transportation for a wonderful travel Cancun. Cancun Limo can give you a different experience of being transported from the Airport up to the Hotel of your choice. Cancun VIP transportation can be used during special occasions, special event and even on regular days where you wanted yourself or others to feel that they are extra special. 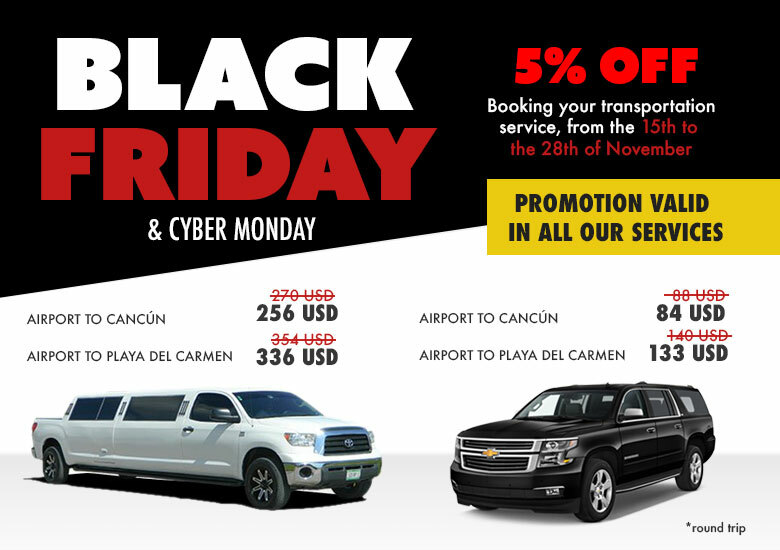 Booking a Cancun Limo is easy and fast. The fleet options would allow you to have the best transportation as possible. The rides that would be given to you are also safe and insured. All drivers have license so you can expect to have a wonderful travelling time while you are in Cancun. When you avail of the Cancun limousine transportation service, you can go to wherever you wanted and feel like you own the world even for just the span of your stay in Cancun. The company can assure you that you would have a safe travel from the airport to the hotel to various tourist spots. You can be rest assured that you have nothing to worry about when it comes to your safety. We make sure that you would be receiving the best customer service you can get. Whether you are going for a vacation or for a business trip, there is nothing wrong with wanting to have a fun, luxurious and exciting travel. Travel in style with the help of Cancun Airport Transportation. Cancun Limo gives you the best option when it comes to travelling whether you are travelling alone or you are travelling in a group. If you want a luxurious travel experience then you should definitely avail of Cancun Luxury Transportation.